It’s that time of year when we’re full of high hopes for the future and plans we can’t usually keep. But 2014 was a great year for all of us at writewyattuk (ok, so that’s just me), and 2015 promises to take this party to new heights. The year ahead should see publication finally arrive for this ever-optimistic writer, some 25 years after calling time on music fanzine Captains Log (three editions and an unpublished fourth), and 20 years after passing on the editor’s hat for unofficial Woking FC ‘zine Wubble Yoo (five editions). Since then there have been lots of false starts, finished books yet to see the light of day, half-boiled or at least non-realised novels and germs of ideas, and nothing that ever properly landed on the racks and that bestsellers’ section (for one reason or other). Work gets in the way of course, especially when mortgages and growing families are at stake, something that carries forward from the days I was doing clerical jobs in the South East right through to two decades in and around journalism. In some respects, writing remains a middle-class pursuit, or at least the hobby of the second wage earner in the house. But there are only so many years when you can say ‘this will be the year’ without properly delivering before people stop taking you seriously. So while I’m not going to go into full details at this point, let’s just say there are at least a couple of projects that should finally see publication this year, and a few more that will be pitched in readiness for the next. But amid all that striving towards the big break, I intend to carry on adding features, interviews and reviews to this site. Before then though, here’s a big thank you to all those who featured here over 2014 and all those who put up with me adding finishing touches to many of those pieces (particularly my better half and our two girls while waiting for their tea or to go out somewhere). Then of course there are all of you out there in Cyberville who clicked on to this site to find out whatever the hell I was pontificating about. Stat-wise, I should point out that I’m now up to more than 52,000 views since the spring of 2012, with at least 1,000 per month over the last 10 months (and more than 3,000 per month for three of those). In fact, 35,000 of those overall ‘hits’ came in 2014, as opposed to 12,000 in 2013 and 5,000 in my blog’s first nine months. And that suggests progress. The biggest viewing stats followed my interview with former Marillion front-man Fish in late September, not least thanks to the man himself re-posting on his facebook page. He was a pleasure to deal with and I wish him well in his ‘retirement’ year. Funnily enough, I also got to speak to his ex-bandmate Pete Trewavas late in the year about his parallel career, and he also came over well (even if he didn’t get round to re-posting – hint, hint). 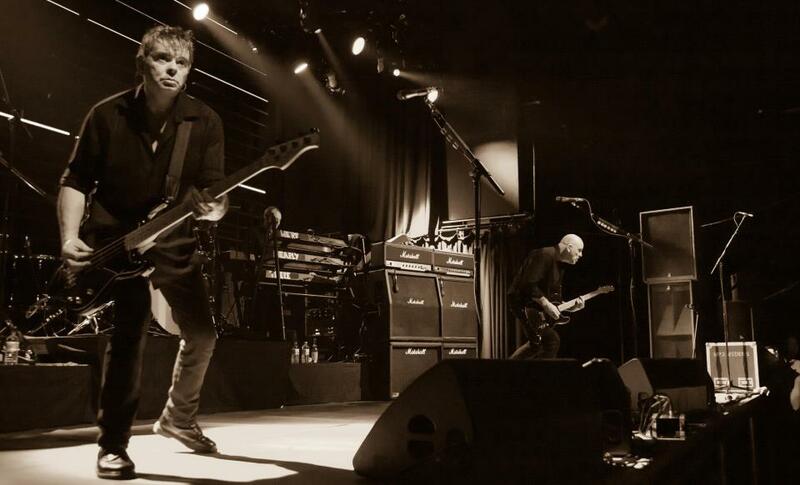 Then there were the 3,000 hits I got thanks to The Stranglers’ social media team, flagging up a live review and my interview with fellow ex-Guildfordian, Jean-Jacques Burnel, who proved as forthcoming as I might have wished, every bit as entertaining as his stage presence suggests. The fact that it came just a year on from an interview with Hugh Cornwell – another true pro to deal with in my experience – meant The Stranglers’ fanbase has certainly helped raise this blog’s profile. 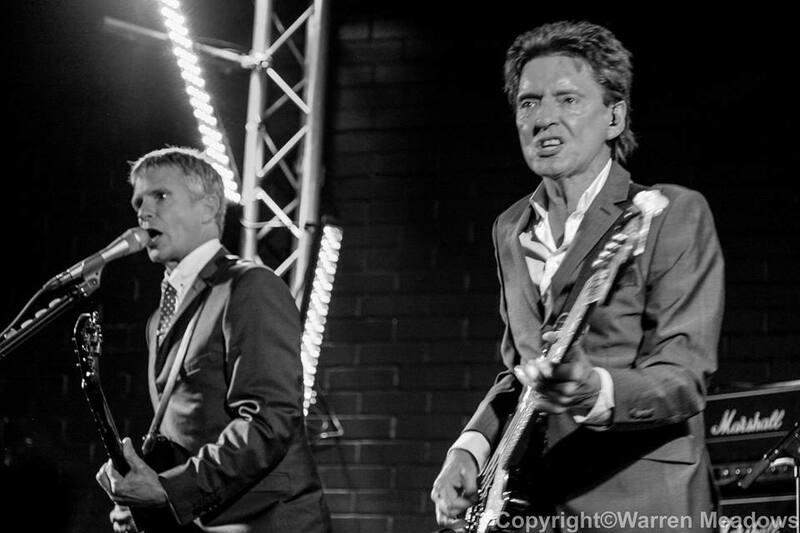 The same can be said for From the Jam fans, after bassist Bruce Foxton – the only artiste I’ve interviewed twice since this blog began (three times if I add the piece that formed part of my first-ever Captains Log in 1987). I also had a good old chinwag with Bruce’s primary collaborator, guitarist and vocalist Russell Hastings, and that got plenty of views too thanks to their social media team, those two pieces and a live review amassing more than 2,500 hits between them. Big Country’s stalwart guitarist Bruce Watson was another giving me a little box office appeal, our interview bringing in 1,300 views, just about replacing the previous year’s hit stats for fellow Scots Deacon Blue following a Ricky Ross feature and live review. I can also report plenty of healthy interest in my Dave Hemingway feature, covering Housemartins, Beautiful South and South days, and subsequent live review, this scribe catching up with the East Yorkshireman for the first time since our post-interview pub crawl 25 years earlier in Aldershot. There were also major retweets from Roger McGuinn, who was definitely worth breaking my holiday for, having interviewed the Byrds guitar maestro from my big sister’s house on the Surrey/Hants border. And the same goes for fellow statesider Judy Street, the cult Northern Soul favourite regularly in touch after our initial Skype video call and a little groundwork from Preston’s Got Soul‘s Andrew Kirkham. Talking of that ’60s US soul vibe, I’ll mention the fun I had in early December with falsetto king Eddie Holman, who kept my phoneline engaged for an age. Actually, I still can’t bring myself to find out how much that call cost me from his home in Philadelphia. Also on the subject of phone bills, I dread to think how much my 50-minute epic with Hazel O’Connor from her home in the Irish Republic cost. Worth every penny, mind. Like Eddie, that woman can talk, but again it was anecdotal magic. On the same lines, so to speak, I had a few problems hearing heavy metal hero Biff Byford for my Saxon piece earlier in the year, thanks to a dodgy Skype connection from West Yorkshire, but got a far better reception when I tracked down Black Star Riders’ guitarist Damon Johnson a few months later. I was in awe at how well that went, and it was only when I mentioned this later to the band’s fantastically-named manager Ace Trump that he let on that Damon was speaking to me from Leicester rather than his native Alabama, their tour having started by that stage. Definitely a case of Trump 1 Chump 0. Talking of technical problems, hats off to indie legend Damon Gough, aka Badly Drawn Boy, former Manfred Mann and McGuinness Flint treasure Tom McGuinness, and Deadwood Dog frontman Mick Stokes, after all three helped me out of potential flaps. With Tom it was down to equipment failure, having to nip out to get new batteries for my digi-recorder after the machine froze, the man whose band so successfully covered Bob Dylan’s If You Gotta Go, Go Now kind enough to find time for me later that eve-of-tour day. With Damon and Mick it was worse, having recorded fine interviews with both only to discover the jack was in the wrong socket and I could only hear my questions. Idiot. Needless to say, both stepped up to the plate and we tried again. Thanks fellas! I’ve managed a lot of interviews with artists I’ve admired over the years, and one such recent highlight was my chat with Undertones guitarist Damian O’Neill. They say you should never meet your heroes, and I avoided doing so for many years, but Dee proved a true gem. It was a similar tale with Raymond Gorman, co-driver of The Everlasting Yeah – who made my album of the year in Anima Rising – who just so happened to share much of Damian’s journey over the years, back in Derry then in London and out on the road from the mid-’80s as key components of That Petrol Emotion. In fact, Raymond talked so much I ended up splitting the resultant two-hour interview (in two phases I might add) into three. I get the feeling there’s plenty more of the story to impart too, so stay posted for the next instalment in 2015, from another source (he adds, cryptically). Talking of musical heroes, I got to quiz the ever-approachable David Gedge over the Pennines at Hebden Bridge Trades Club, talking Cinerama, The Wedding Present and much more. 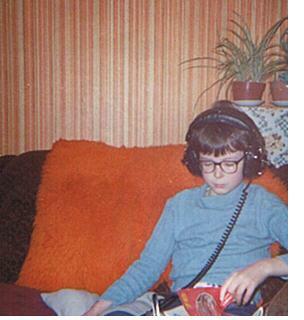 My list of eminent interviewees also included Rezillos and Revillos inspiration Eugene Reynolds at home in East Anglia – like Jean-Jacques Burnel caught between motorbike jaunts – to talk about his seminal ’70s and ’80s new wave days and the band’s recent re-emergence. And I also caught up with another survivor from my Captains Log era, talented singer-songwriter, DJ, band and gig promoter Jo Bartlett for our first interview in more than 25 years, going all the way back to those early Go! Service and Bluetrain years and more recently It’s Jo & Danny and The Yellow Moon Band. More recent happening acts were also tracked down, not least Reverend & The Makers’ frontman Jon McClure and Miles Kane – who proved similarly entertaining between live dates. And it was good to get an inside view on alt-J’s huge success in the last couple of years from Gus Unger-Hamilton, not least the story of the band’s latest successful LP This Is All Yours, which made it into many end of year top fives, not least mine. Thanks for that go to alt-J promoter Ian Cheek, who was also on the case to set me up -albeit via email from the US – with electronica legend Gary Numan, in a year when this blog also featured one of his contemporaries on that front, former Ultravox frontman John Foxx, another of my email interviewees. In fact, my feature on Foxx then led to a call from his old schoolmate, veteran stand-up comic Phil Cool, who sought me out to put his own memories of those ’50s classroom and park days in Chorley, and was then held up on the phone for a great deal longer by this scribe. My over-sized questionnaires also made their way to (and were perfectly dealt with by) Spin Doctors vocalist and lyricist Chris Barron, rising children’s author Ruth Eastham, Stiff and Ian Dury music biographer Richard Balls, and Subways frontman Billy Lunn, and while I had to ration the latter’s use of the exclamation mark, his was a nice reflection of another great year for that energetic indie three-piece. It was a big year for catching up with happening comics too, and Katherine Ryan – while hard to get hold of in the first place – proved a gem, the same going for Kerry Godliman, good enough to ring me back, Susan Calman and Mark Steel, although none of those last three managed to share my links. Just saying. Also on the comedy front, it was a pleasure to joust on various subjects with the ever-engaging Frank Skinner, with a lot of ground covered in a relatively small window (yep, I know – writewyattuk provides plenty of mixed metaphors). And talking of those who like to talk, Craig Charles – caught just before he was confirmed to join the I’m a Celebrity circus Down Under – was great fun to talk to, as his weekly radio shows – like Skinner’s -would suggest. I got to learn a lot from Paul Carrack too, this esteemed musician offering first-hand memories from across the years, yet my subject remaining a down-to-earth Yorkshireman, with no sign of an ego. And while I was a little worried what I might get from bestselling crime writer Martina Cole, as anyone who’s dipped into her rather wholesome books might expect, it proved to be a highly-enjoyable early morning chat with a real charmer. I like to try something a little different here now and again (which normally means getting very few hits, but whatever …), not least focusing on my love of children’s lit. And this year that included a piece on authors visiting schools, thanks to guitar-wielding teacher-turned-writer John Dougherty. There was also a visit to the North-East to take a look around the wonderful Seven Stories, and public gatherings like Benjamin Zephaniah‘s Black History Month launch in Preston and a World Book Day roadshow event in Blackburn involving national treasures Cathy Cassidy, Lauren St John, ultra-energetic World of Norm author Jonathan Meres, and rising stars Laura Dockrill, Curtis Jobling and Alex T Smith. 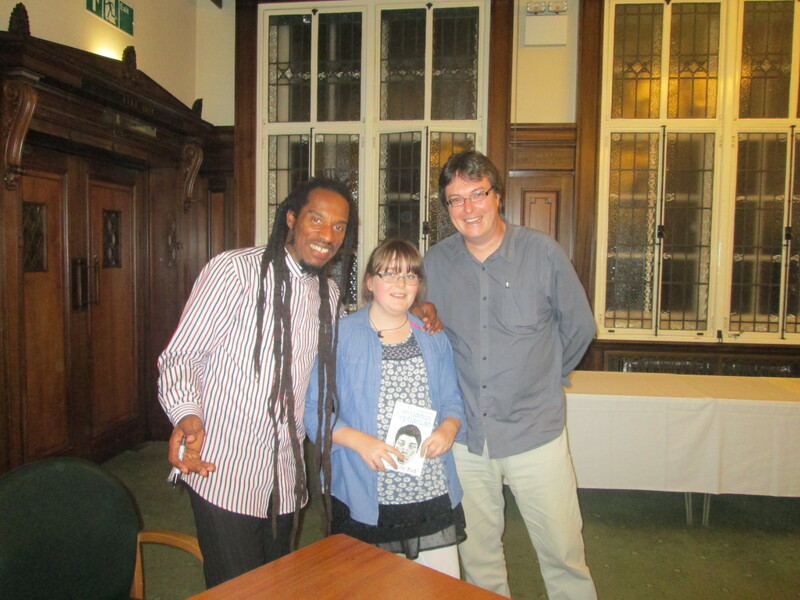 As it was, I also caught a few words with Lauren, but we were a little distracted by all those young fans queuing to have books signed, so I hope to try something again this coming year with the gifted Zimbabwean. Book promoter Jake Hope helped set up a few of those events, and also got me involved in the War Girls event with prized authors Theresa Breslin, Melvin Burgess, Berlie Doherty and Anne Fine, while Jeff Wayne was another who had plenty of tales to tell from across the decades, from his work with David Essex to his own US roots and the phenomenal success of his creative interpretations of The War of The Worlds. You might be thinking that not all these people could possibly be good guys, but I can only report what I found, and similarly it was nice speaking with twinkly-eyed TV baker and housewives’ choice Paul Hollywood and Only Fools and Horses spiv John Challis – another charmer who provided engaging anecdotes by the barrow-load. I also talked films and theatre with Northern Irish playwrights Daragh Carville, (marking The Life and Times of Mitchell & Kenyon) and Stephanie McKervill (No Man’s Land), while Frank and The Men Who Stare at Goats writer Jon Ronson was bright and breezy via Skype from New York and Chumbawamba guitarist-turned-writer Boff Whalley told me all about one-woman play Wrong ‘Un and a whole lot more. Sometimes it’s the lesser-known musicians on your own doorstep that shine, and this blog tries to look beyond the obvious, with cases in point in talking to Merry Hell manager and folk activist Damian Liptrot about the innovative Armistice Pals project, and emerging North-West alternative jazz talent Stuart McCallum. We like to do alternative too, and where else might you read about schlock horror punks Evil Blizzard, care of drummer Mark Whiteside, TV scientist and self-proclaimed nerd Steve Mould, and new age drunken folk rapper Beans on Toast, all of whom proving a pleasure to converse with. And while I’m on the subject of features not quite fitting in with the rest, I’ve been able to rely on my fellow Cardinals fans for hits too, via the latest instalments of my parallel life watching Woking FC from afar. As I write this, the team – despite a tricky end-of-year sequence and limited financial backing – remain on the cusp of a play-off this season, and still in the FA Trophy, while playing the kind of entertaining football that still inspires me to put pen to paper about us and the Beautiful Game’s non-league reaches. Returning to the bread and butter of this blog, my piece with Marc Almond and John Harle was semi-syndicated, but I’m hoping there’s chance of a one-to-one with Marc in 2015. 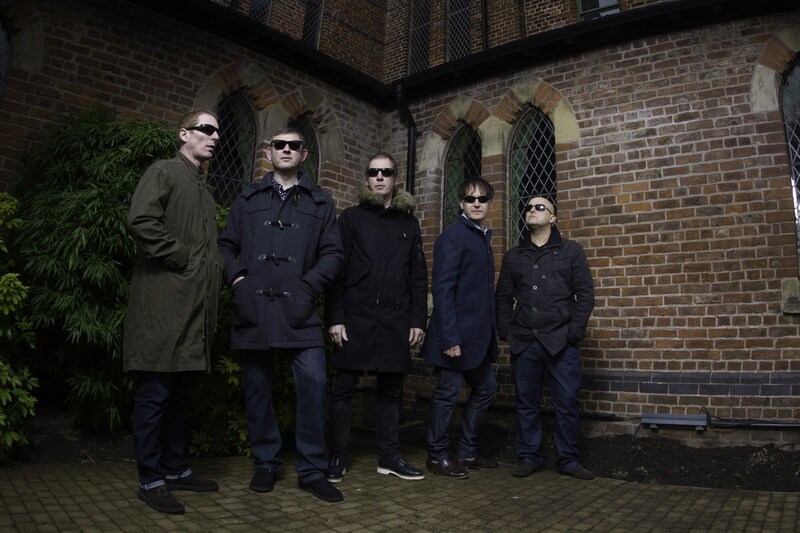 Meanwhile, I recently spoke to the highly-approachable Stephen Holt, back in tow with Inspiral Carpets, and he proved a gem – a frontman with no front, you could say. 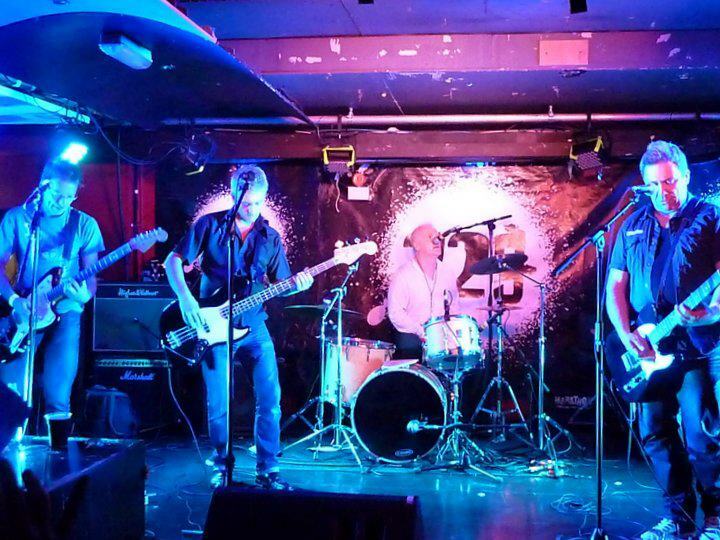 And my main excuse for getting in touch – the finale of the band’s end of year tour to celebrate their first album in 20 years – another of my top five albums of 2014 – was my last gig of the old year, and the last for Preston’s 53 Degrees as it stands, this blog getting the low-down on that troubled venue from its ex-events assistant Mark Charlesworth, who chased various acts to ensure some of these interviews happened. The same can be said for promoters Maria Philippou and Dave Clarke, both setting up big-name interviews, the latter helping not only get hold of the Spin Doctors and rising talent John McCullagh (I know, you haven’t seen that yet), UB40 sax legend Brian Travers – another fantastic interviewee – and loveable retro vocal ensemble The Puppini Sisters, but also helped set up my Ian Dury feature and just happened to know Lisbee Stainton, another emerging songwriting talent who proved a pleasure to deal with. In fact, the latter came my way via Hollow Horse‘s Carl Barrow, a music fan-turned-promoter who has put so much into attracting big-name acts to a Lancashire backwater – not least a memorable night featuring Lisbee – and an example to us all in that respect. Raised glasses too for the many great photographers – professionals and gifted amateurs alike – who have supplied images for these features. I don’t make any money from all this, but the wordpress set-up seems to do the job for now. With that in mind, big thanks to my former editor Gillian Parkinson for ensuring a little financial recompense for some of these pieces, and to Alan Burrows and Barry Freeman at the Lancashire Evening Post for putting some of these interviewees my way in the first place. So what’s next? Well, several interview and feature plans are already pencilled in, and more will follow. So even if it takes a few months to finally get those books out there, you’ll be hearing plenty more from me in 2015 if you stick with writewyattuk.wordpress.uk. And on that note – a happy new year to you all. This entry was posted in Books Films, TV & Radio, Comedy & Theatre, Music, sport and tagged alt-J, Badly Drawn Boy, Big Country, Black Star Riders, Byrds, Craig Charles, Eddie Holman, Frank Skinner, From The Jam, Gary Numan, Hazel O'Connor, Inspiral Carpets, Jeff Wayne, John Foxx, Jon Ronson, Judy Street, Katherine Ryan, Manfred Mann, Marillion, Martina Cole, Miles Kane, Paul Carrack, Paul Hollywood, Reverend and The Makers, Rezillos, Saxon, Spin Doctors, Stranglers, That Petrol Emotion, The Beautiful South, The Everlasting Yeah, The Subways, The Undertones, The Wedding Present, Woking FC. Bookmark the permalink. We have been busy. Keep on Blogging! Thanks Lyn! One does one’s best.